Dilemma- You've left work early to get ready to celebrate the New Year. You have THE dress. Check. You have the KILLER shoes. Check. But....but...you're missing something. OMG! 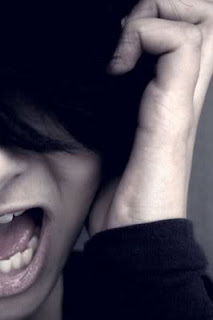 The tragedy! Is it your favorite lip gloss? Eye shadow? Foundation? You don't have that much time and YOU ABSOLUTELY NEED THIS IN YOUR LIFE to make your night a great night. You remember you have a gift card from Sephora for $25 and you make a hasty decision to make a quick run to the mall. What is it that you can't possibly live without that would make you drag race to Sephora and use your $25 gift card? We've all been there before at one point or another! Leave a comment telling us what it is and why you can't live without it! ONE comment will be selected to win a Sephora e-gift card! 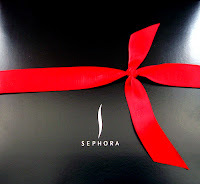 *Sephora e-gift card comment contest begins December 31st, 2009 and ends January 2, 2010 12:00pm. Comments will need to include a valid email address to be notified if selected as a winner. This contest is only open to those who have NOT already won contests and giveaways on Gimme That Glow. This is only open to US residents. Void where prohibited. One winner will be selected. The $25 certificate wouldn't quite cover it, but I'd make the trip to Sephora for a Laura Mercier Shimmer Bloc in Pink Mosaic. It is the perfect sheen to apply over blush - gives a youthful glow and defines the cheek bones. Love this product!! But $25 would sure knock the price down! Thanks for the comment! Definitely my Bare Minerals foundation. I don't leave the house without foundation, so it is a must have! I would def. have to go out and get the Urban Decay Primer Potion. As much nail polish as I can get!! WOW! This is the perfect post for me! I have had Sephora's website up since last night looking at Kevyn Aucoin's foundation debating on whether I should order it or eat next week!! I would kill for this giftcard!